PDF: -- 120K -- Provides the document in Portable Document Format. PS: -- 1.2M -- Provides the document in Postscript format for printing. HTML: -- 80K -- Displays the document as a web page. articleEn.pdf: -- 120K -- . presentationEn.pdf: -- 120K -- . In this paper we introduce concepts needed to encourage more businesses to transition into the For-Profit and Non-Proprietary Quadrant. We first briefly describe each quadrant and then focus on the non-proprietary and for-profit quadrant. The business models for the proprietary, for-profit quadrant are well established. The Venture Capitalist business model resides exclusively within this quadrant. Conventions and regulations for this quadrant are well established. 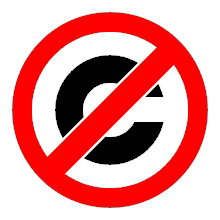 Copyright and Patents are the norm in this quadrant. Historically, proprietary and for-profit have been very closely allied, so that the proprietary, for-profit model dominates conventions We now come along and present something within the non-proprietary, for-profit quadrant, and this requires some rethinking. With regard to research, there are well established, clear and mature procedures for supporting research in the non-proprietary, non-profit quadrant. The recipient organizations are typically .edu or .org entities, and the resulting public-funded research comes back to society in the form of unrestricted, non-proprietary results and assets. In theory this quadrant should be empty. With regard to research, supporting research in the proprietary, non-profit quadrant makes no sense at all. Here the results of the research are shut off from the public in terms of both ownership and business: the results are privately held, and make no contribution either to society or to commerce. In practice, it is where most academics exist. See “Death of American Academic” for details. The business models for the non-proprietary, for-profit quadrant are not well established. The Venture Capitalist constituency does not understand this quadrant, nor does it believe in it, nor does it have any experience in it. Publicly supported research that results in unrestricted, non-proprietary assets is vastly more beneficial to the public, than results that are privately held behind the walls of patents and restrictive copyright. Indeed, one could say it is completely wrong to take tax dollars and put them in the pockets or private businesses and individuals. Business operation within the non-proprietary, for-profit quadrant is still very unusual at this time, and mature business models for this quadrant do not yet exist. Therefore our own Open Business Plan may be considered the most complete business analysis of the non-proprietary model in existence today. The notion of a non-proprietary construct, residing and operating within the for-profit sector, is new and different. Historically, the for-profit sector has been closely associated with proprietary ownership of assets. Hence the Internet Services industry and the likes of BlackBerry as we see them today. Also historically, management of non-proprietary or public assets has been primarily associated with the non-profit sector. Hence the current orientation of the Free Software Movement, operating largely within the non-profit sector. We propose a radical shift of the Internet Services industry from the for-profit, proprietary quadrant, to the for-profit, non-proprietary quadrant. In this space the entire software for an Internet service remains a communal public resource in the trust of the engineering profession, while service deployment is driven forward by the full force of for-profit commercial motivations. This radical shift to the non-proprietary, for-profit quadrant, causing a major industry reconfiguration, with significant winners and losers. The losers are the existing vested proprietary interests, whose economic hegemony vanishes. But the winners are the many more companies who can now enter the Texting market—and the end-user whhis is immense. This can impact, positively, thousands of jobs throughout the industry. To the above we now add another dimension. That of Software Vs Internet Services. So, we now have a cube as shown in Figure 2. The ByStar services are positioned in the For-Profit Non-Proprietary Quadrant For Internet Services. Note that in the non-proprietary layer, re-use and collaboration is far richer than the proprietary layer. For example, in the Software slice, Debian and Ubuntu cross progress. In the Services slice the same can happen. Where for example ByStar and FreedomBox can cross progress.